New trailer and artwork for the Portuguese horror. Daniela Love and Jorge Mota star as two troubled souls who encounter each other in a forest infamous for its popularity with those planning to take their own lives. One of them is not whom they claim to be however. 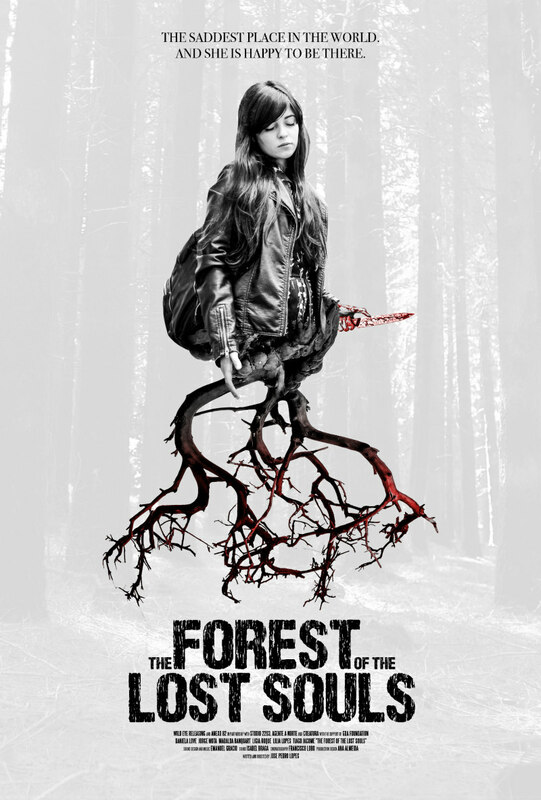 The Forest of the Lost Souls opens in US cinemas August 5th. A UK/ROI release has yet to be announced.